The Most Delicious Low Carb Scrambled Egg Recipe. Ever. Because we love low carb. We see the devil in the BG details as people living with diabetes, so we know actually, literally what carbs will do to our blood sugars. Just ask us to eat a donut and do some checks! It's kind of incredible, really, to watch the scientific effect carbs have on your own body. Which is exactly why we are so into low carb eats. Then there's no experiment! No rollercoaster! 🎢 It makes living with diabetes that much simpler. Speaking of low carb, we're always up for a good old-fashioned scramble. Egg scramble, that is! Eggs are naturally low carb; technically speaking, they are no-carb. Even. Better. 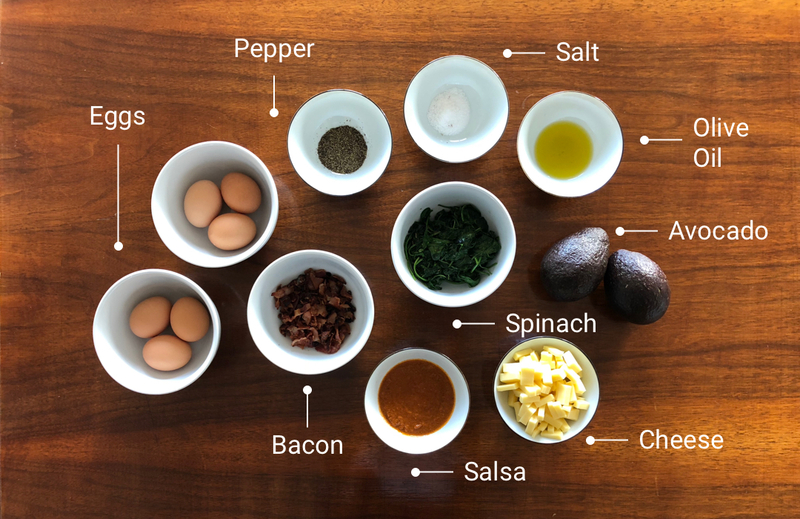 But rather than stick to the same low carb scramble routine, why not spice up your egg-a-day everyday with a new egg platter? We got you. 😉 Here is the most fantastic low carb scrambled egg recipe, ever. Lay out all strips of bacon on a cold pan; place them so they are touching and crowd the pan a little. Cook the bacon low & slow on your stovetop. As the bacon strips begin to curl, flip the strips so that they brown easily. Let the bacon sit until cooled. Once cooled, break the bacon into fresh, small bits. Rinse the spinach and drain well. Heat the oil in a skillet large enough to hold all the spinach. Add the spinach. Cook over high heat. Stir rapidly, until the spinach is wilted and most of the moisture has evaporated.